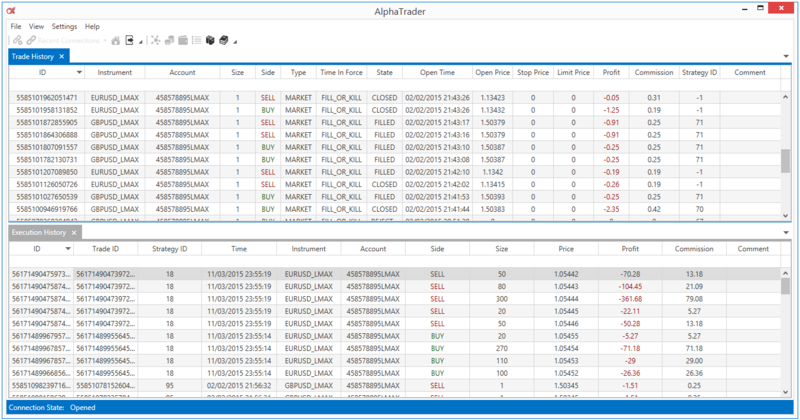 With the AlphaTrader 2.8.0 private release, we start to deliver some of the major new functionalities coming with AlphaTrader 2.8, i.e. 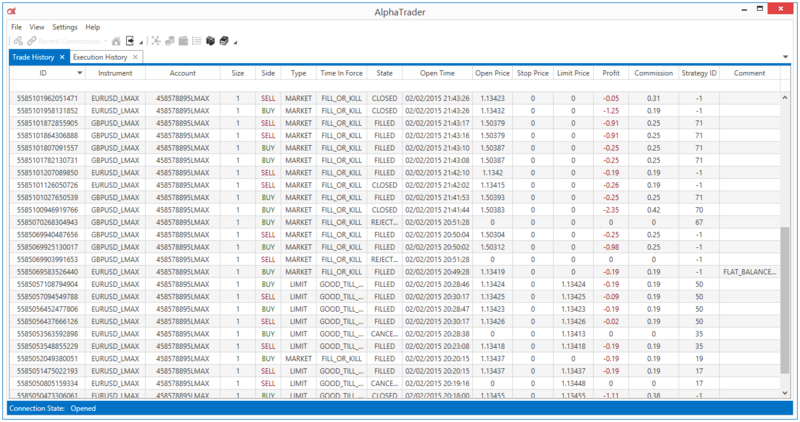 a totally redesigned and improved AlphaTrader Client. With the 2.8.0 release, we are delivering a first step in this redesign. 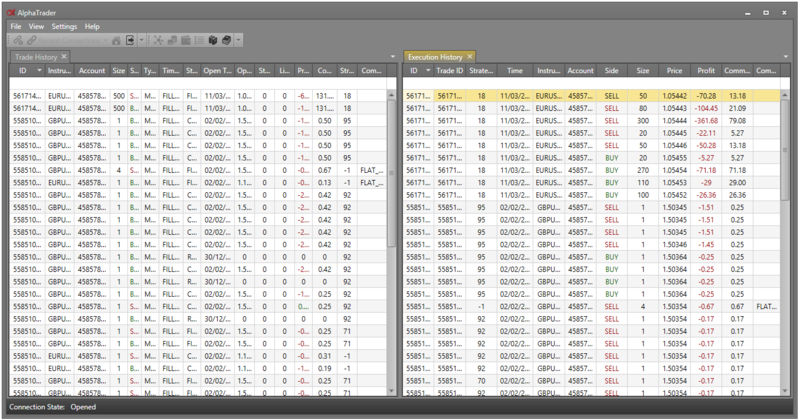 Global layout redesign of AlphaTrader Client. Adding docking on AlphaTrader Client panels. 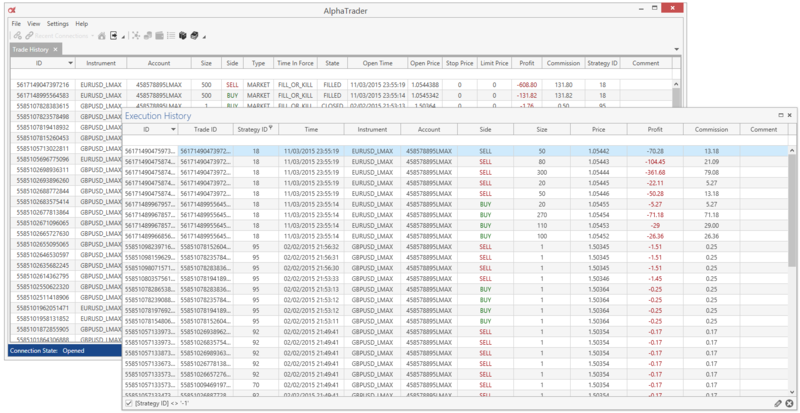 Adding Trade History panel on AlphaTrader Client. Adding Execution History on AlphaTrader Client. Adding back up for restart of all grid configuration on AlphaTrader Client. Adding partial back up for restart of layout on AlphaTrader Client. Possibility to choose among 16 UI themes. Feeding of trades and fills updates to the client in real time. Improvement of AlphaTrader Client connection stability. Better handling of AlphaTrader Server disconnection, changement of workspace, etc. Show visibility of connection state. Adding back up of the connectivity set-up. Adding the option to install AlphaTrader, AlphaTrader Client or both (default).